Applied Technologies of New York is an authorized manufacturer's representative for Marlo Incorporated. 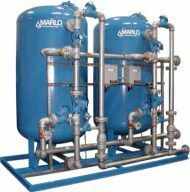 We offer the full lineup of high-quality Marlo equipment, including media filtration equipment, water softeners, deionization systems, and much more. These solutions are designed to meet a wide range of commercial and industrial water applications. 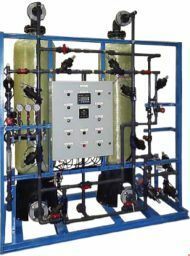 Whether you need standard catalog equipment or custom engineered equipment, the sales engineers and factory-trained technicians at ATI of New York will work closely with you to to deliver the most viable water treatment solution. Marlo's commercial and industrial media filtration devices are engineered from the highest quality of materials to provide long term solutions. 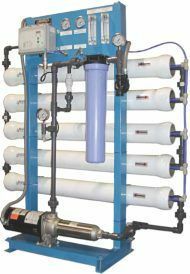 This equipment is designed to cover an impressive number of commercial applications, including iron removal, turbidity reduction, and chlorine removal. MFG Series includes Multi-Media (MID), Natural Zeolite (MZA), Iron Removal (MGA), and Carbon (ACA) Filters. 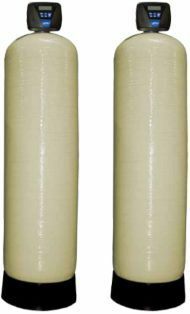 MFGE Series includes Natural Zeolite and Carbon (ACE) Filters. 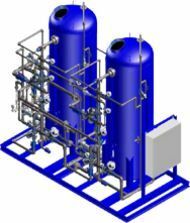 MFS Series includes MID, MZA, MGA, and ACA Filters. 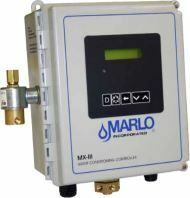 Marlo's commercial and industrial water softener systems offer facilities an efficient and robust way to reduce soap usage, mineral scale, and energy consumption across plumbing and other equipment that utilizes water. 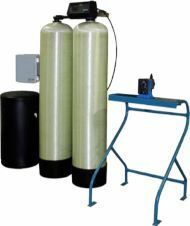 These water softeners are designed with an extra-durable, corrosion-resistant, fiberglass reinforced, polyethylene tank design and a reliable top mounted valve to ensure several years of service. 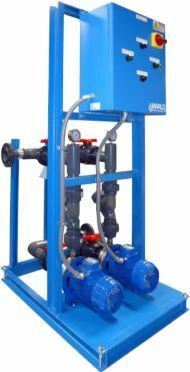 In May 2017, Marlo Inc. completed the fabrication of a Triplex Industrial Water Softener Skid for a medical device manufacturing company. 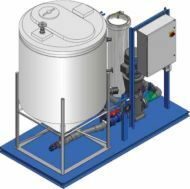 It is a “Progressive Flow” system with additional vessels automatically placed into service as the water demand increases. The primary use for the softened water will be boiler feed operations with a design peak flow rate of 300-GPM. Marlo's engineering team was able to meet a special customer request for a system that uses corrosion resistant FRP pressure vessels but still wanted the extra durability of stainless steel piping and skid. Marlo's Laboratory Water Systems are manufactured to act as the central, purified water source for a medical, academic, and other types of research facilities. 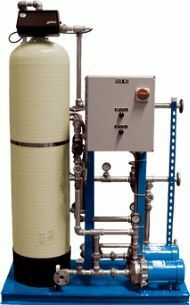 These systems are designed to exceed or meet Type I, Type II, or Type III reagent-grade water platform standards set forth by ASTM or CAP/NCCLS. 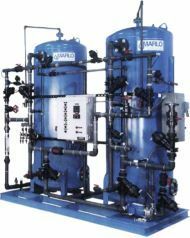 Marlo's industrial and commercial reverse osmosis systems are engineered to produce high purity water through the removal of bacteria, particles, dissolved minerals, and organic impurities. These units combine high quality components with an energy saving design to deliver an economical and reliable supply of high purity water. MRO-2.5 Series are light commercial grade reverse osmosis units. MRO-4-LP Series are low pressure commercial grade reverse osmosis units. MRO-4V Series and the MRO-4H Series are available with product water capacities that range from 2.5 - 6 GPM and 7.5 - 20 GPM, respectively. Contact Applied Technologies of New York for larger flow requirements. MRO-8 Reverse Osmosis Systems are available with water outputs from 25-300 GPM. Marlo offers a full lineup of rugged, high quality, industrial and commercial deionizers. All systems are factory skid mounted, pre-wired, pre-piped, and pretested to minimize installation costs and time. In the event continuous DI water demand is required, Marlo deionization systems offer duplex alternating systems. MSB-F Series Automatic Separate Bed Deionizer Systems are available for product flow rates of 5-250 GPM. MSB Series Deionization Systems are available in standard designs for products with flow rates of 5-600 GPM. 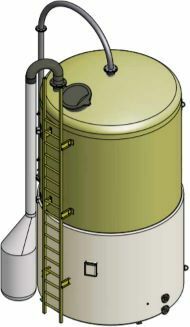 MMB Series Deionization Systems are ideal for situations when only trace amounts of dissolved solids are allowed. Standard designs are offered for product flow rates of 5-350 GPM. Electro-Deionization (EDI) Skids are the state-of-the-art way to achieve ultrapure water. This cutting-edge equipment results in a major advantage over the operation of traditional, regenerable Service Exchange DI systems and Mixed-Bed Deionization Systems. 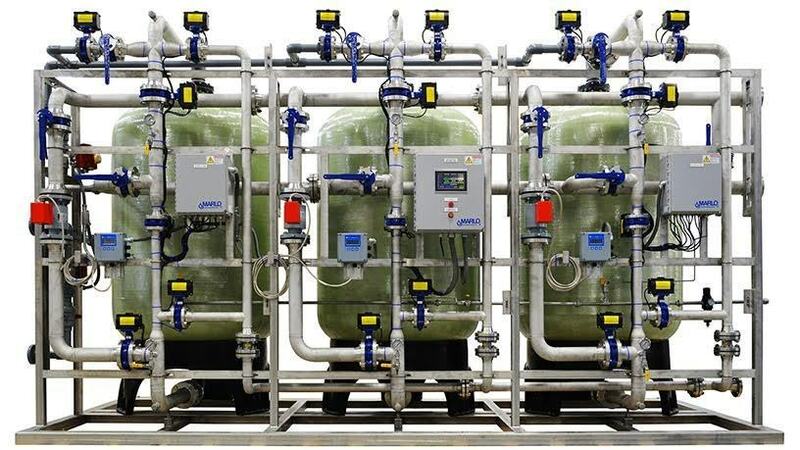 Membrane Clean-in-Place Systems are designed for on-site cleaning of Reverse Osmosis as well as other types of membrane water treatment solutions. Bulk Brinemaker Systems are the optimum complement for commercial water softening systems that need large volumes of daily salt consumption for the regeneration process. Transfer Pump Systems are designed to complement other water treatment equipment for a more seamless and integrated design. MATD Series Dealkalizer Systems reduces the alkalinity of incoming feed water, which results in lower condensate return corrosion, lower blowdown rates, and a much more effective treatment solution for boiler systems. MDAS Series Dealkalizer Systems delivers an efficient solution for reducing alkalinity of larger industrial and commercial applications. MCP-Condensate Polisher System effectively removes impurities such as hardness from steam condensate, copper, and iron. The removal results in lower operating costs and improved boiler feedwater quality. 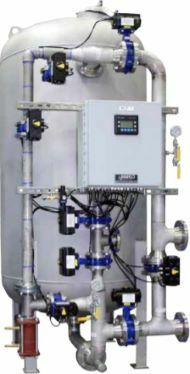 MX-III Water Conditioning Controller maximizes performance for industrial and commercial water softeners, dealkalizer systems, and backwashable media filters while simplifying installation. Whether you're looking for a new product installation or looking to replace existing equipment, our factory trained technicians and sales engineers will guide you toward the most viable solution. Contact ATI of New York today for a consultation.